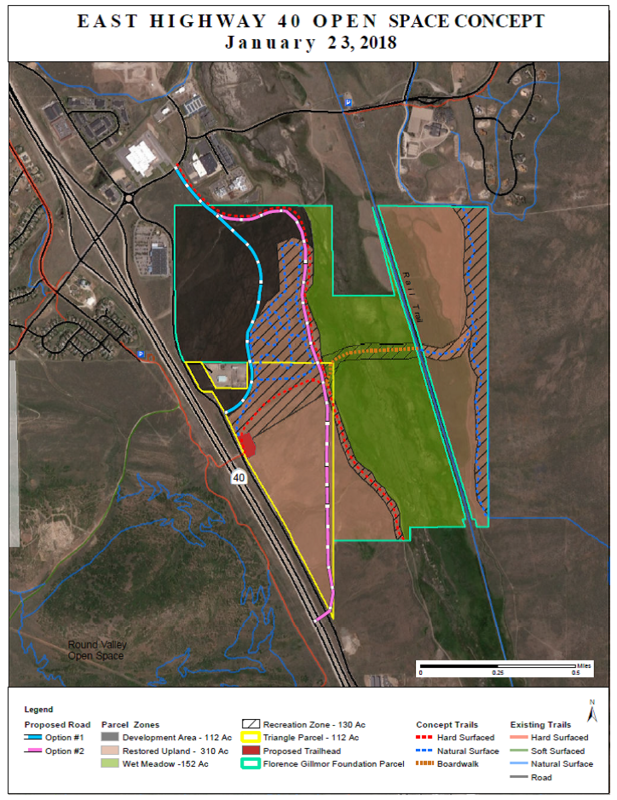 Coalville, UT (February 6, 2018) – The Summit County Council and the Snyderville Basin Special Recreation District (Basin Recreation) have reached an agreement with the Estate of Florence J. Gillmor and the Florence J. Gillmor Foundation to purchase a 461-acre parcel of land east of US Highway 40 in the lower Silver Creek drainage. The property is located directly north and east of Summit County’s and Basin Recreation’s 112-acre Triangle Parcel. The agreement contemplates that approximately 112 acres of the property will be available for potential future development, while the Triangle Parcel, together with the remaining ~350 acres of the Gillmor property, will be deed restricted and preserved as contiguous open space for Summit County residents. The County and Basin Recreation have not finalized the sources of the funding that will be used for the purchase, but it will likely be a combination of available recreational open space bond funds and other County funding courses to be determined. In addition, the Gillmor Foundation has given the County the option of up to $5,000,000 in seller financing on reasonable terms.